Just about two months ago I discovered Oscar's Oasis on Netflix. My boys LOVE the cartoon. My friend says the little lizard reminds her of the squirrel on Ice Age. To me the show seems like an updated version of the Road Runner. The graphics are fantastic, Oscar is stinking adorable, and it's actually fun to watch with my kids. Their laughter makes it all that much better. You can watch the first episode HERE. 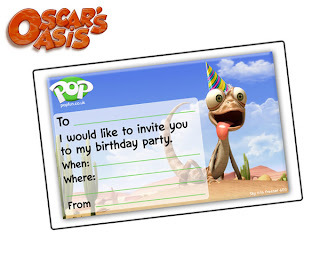 Oscar's Oasis was produced by TeamTO and Tuba Entertainment in association with Cake Entertainment and originally aired on Disney Channel Asia. The show is based in a desert (not any specific one) and a road that runs through it is the source of a lot of garbage that the characters are frequently exploring - usually in hunt of food or water. 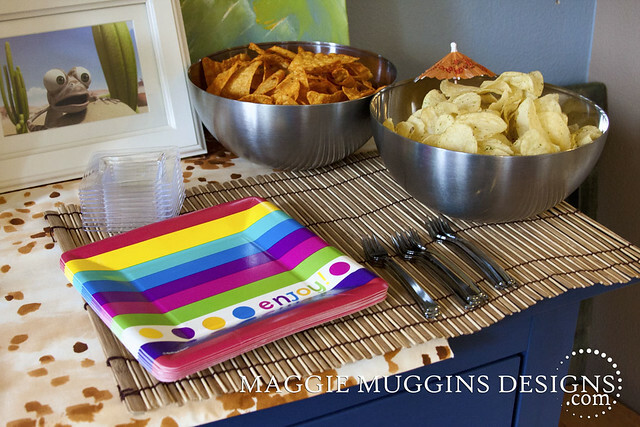 With a birthday coming up for my son, ideas for an Oscar's Oasis party started coming as I watched the show. I'm so excited to share the party with all of you but I must confess, there are far fewer photos than I had hoped. I sat down to look at the photos and was surprised by how few I took! I hope those of you who need to can resist the urge to reach into the photo and straighten my frames. Ha. Instead of spending way too much time on a birthday card I went for the online print and fill-in version. Way easier and still really cute! 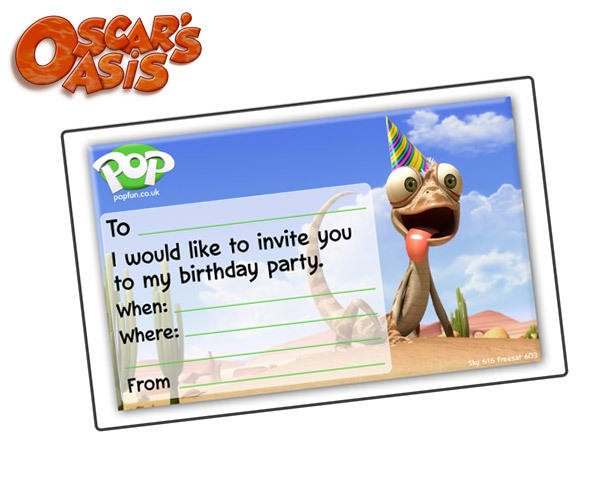 Oscar's Oasis Birthday Party Invitation. Oscar often has his tail pulled off in the show. We blindfolded each kid and taped a balloon to a photo Oscar. The kids were given a pin and had to pop it. Pretty simple and hilarious to watch! Oscar loves to eat flies so of course the kids would. For this one we strung up a bunch of flies. I grabbed an image from the internet and they were easy to print and cut on the Silhouette, then I laminated them and cut them out by hand. The kids used Sticky Lizards to "catch" their flies. They got to keep the flies as a reward. This would have worked even better in-doors with the flies on the floor (they stick better that way) but it seemed more realistic to have to catch hanging flies. Oscar is often stealing eggs from the Chickens in the show and then running for his life to keep it. 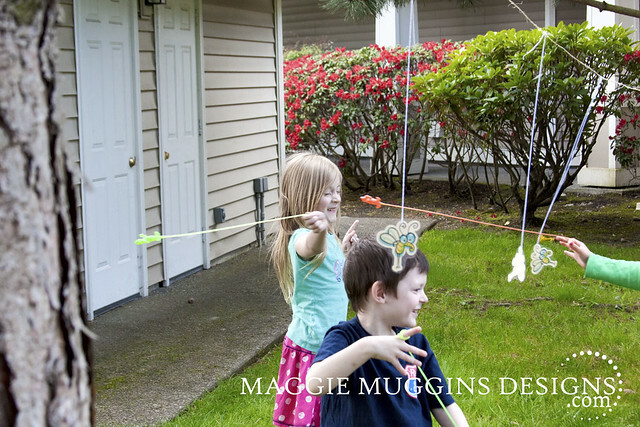 We had the kids hold hard-boiled eggs (less mess) in their hands and run a few races. We didn't tell them they were hard boiled though. They were more focused on the eggs and not dropping them than winning so this turned out great! Of course, for a slightly older group you could go with the traditional Egg-on-Spoon race. When he's not hunting for food Oscar is looking for water. A lot of the episodes begin with an innocent search for water. So a scavenger hunt for water was on the menu. Of course, we completely forgot about the water hiding until long after the party! Oops. I searched for some time for a Pinata that would work for the party. I found a cactus and ALMOST bought it but I really wanted something a little less expensive. Then I found an Alligator online, but I didn't really want to pay for shipping. 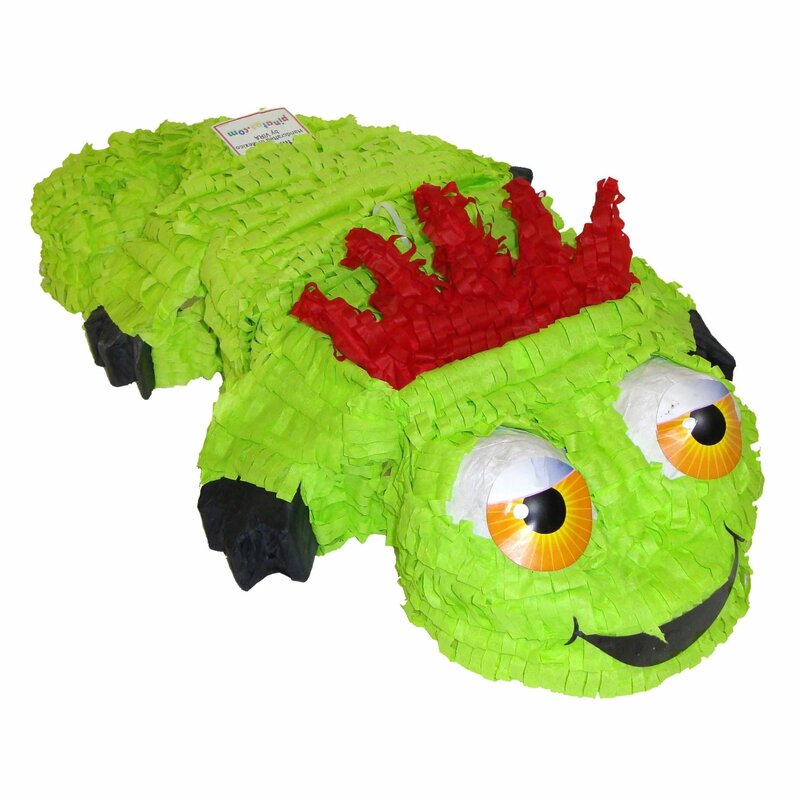 When I found this Lizard Pinata on Amazon.com I was so excited! Adorable and $12.99 with Free Prime Shipping! Love! I don't know how I missed taking a picture of this part (of course, I was busy hosting a party) so you get the product image instead. This was an idea I had but didn't use. I could have made these, or had the kids make their own. You can see the idea here: Lizard Blower Craft found on Super Mom Moments. 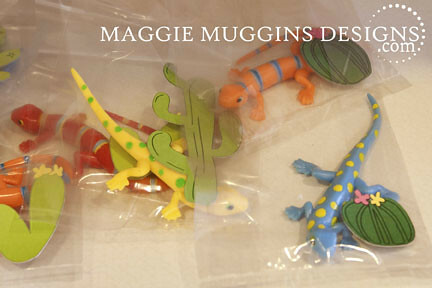 We put a cute Lizard in each goodie bag and used them to hold the other things collected over the course of the party as well (Sticky Lizards, Flies, Candy, Etc.) The Cactus stickers were Print & Cuts that I made from the Cactus Set from Silhouette. 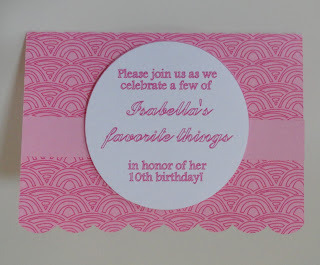 Printed on Packing Labels and cut with the Silhouette. Easy! Jarritos Sodas (I got the idea here), Fiesta Fans from Party City and an Inflatable Cactus gave the party a Desert/Fiesta feel. 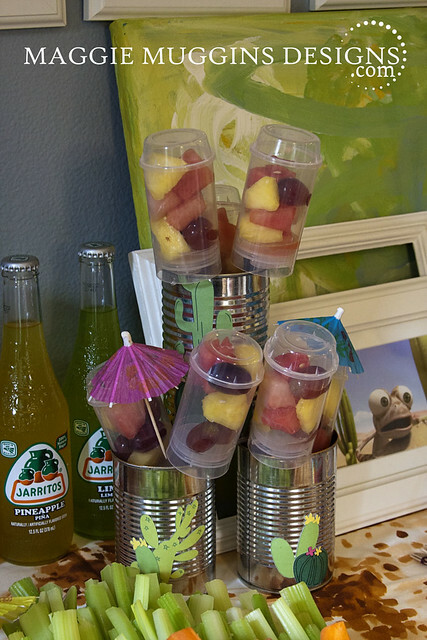 Some old tin cans decorated with Cactus Stickers (Silhouette Print & Cut) served to hold the fruit Push-Up-Pops. Of course, there was also a picture of Oscar found here. 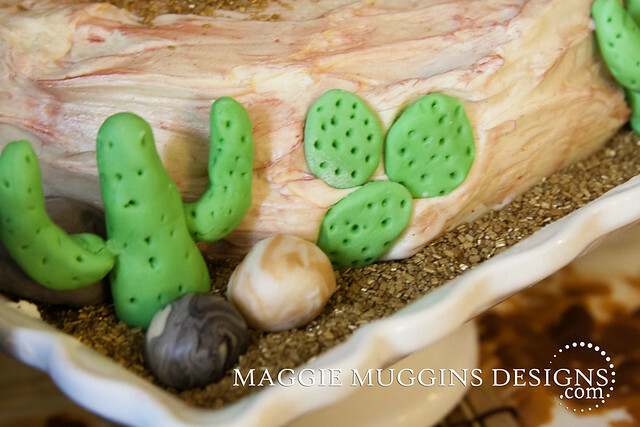 Some desert sand looking fabric served as the base and the cake and food took up the rest of the space. 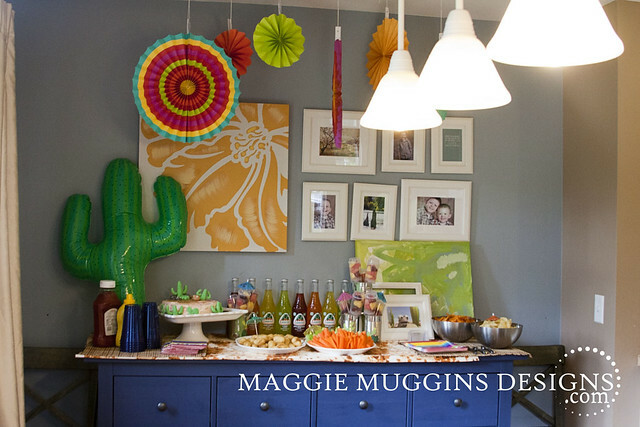 I really only decorated the buffet, which was completely enough for me! We had the party in the afternoon so after playing hard we stopped for some snacks. 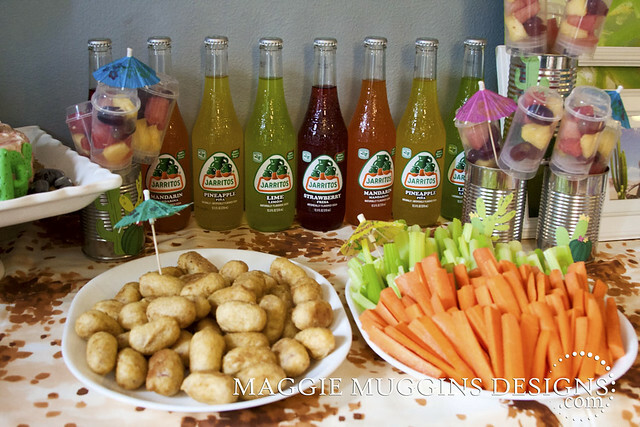 Mini Corn Dogs, Veggies, Fruit Push-up-Pops and Chips were the options with bottled water and the Jarritos Sodas which the kids all loved trying! 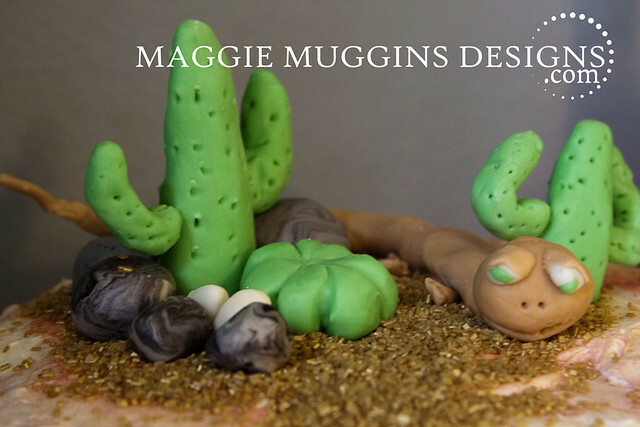 With the help of a wonderful friend of mine and with this cake as my inspiration I made Marshmallow Fondant for the first time ever and created my own toppers for the cake. Of course, patiently waiting for it to dry was hard, but I think it turned out great for the first time and I had so much fun making it! Of course, I was so grateful to my friend for helping me. I wouldn't have learned half as well from a tutorial online! My boys, much thanks to dad, were away at gymnastics and I was able to get it finished without interruption. I frosted the layered chocolate cake with store-bought frosting. Then after letting it sit I used a brush and dusted it lightly with pink pearl dust to create the sunset look. 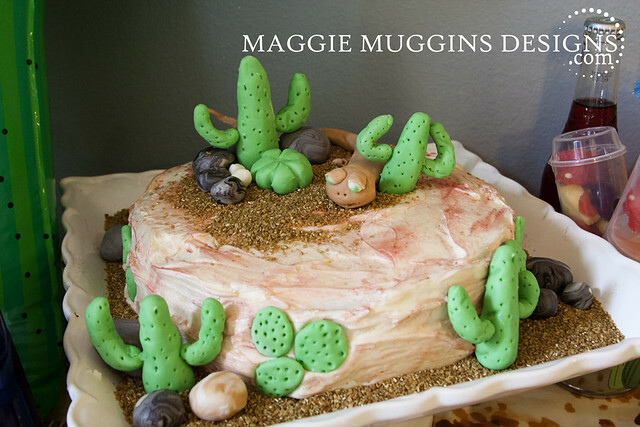 I used gold glitter crystals for the sand but raw sugar would work too (that is cheaper if you already have it on hand, otherwise the crystals are probably cheaper.) 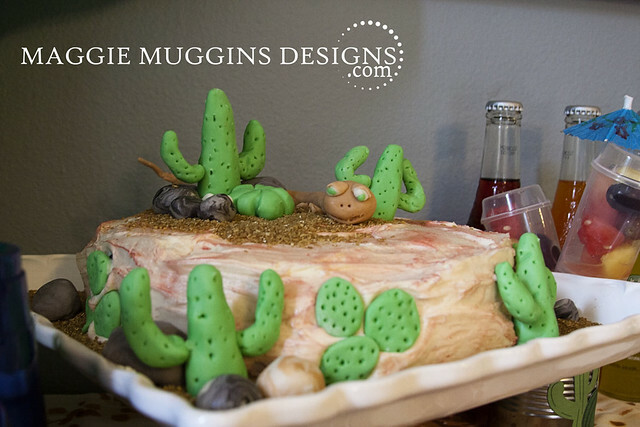 Each cactus is held up with a toothpick. The kids had a BLAST and my son loved all his friends gifts. He was so happy to see so many of them there! I have to say this party was a lot easier than the Jake and the Never Land Pirates party last year even though both were SO MUCH FUN! Linking up to Get Your Craft On on Today's Creative Blog. I've been busy preparing for a Serger Technique class that I am teaching tonight at my church. I'm kind of nervous to teach as I feel completely unqualified compared to some of the other seamstresses that will be attending. They have way more years of experience compared to me! Did you check out the projects posted last month? There were some really cute ones! I have to confess the story that goes along with this cute card made me laugh - I love that Rachel of Holy Craft saw it through though and figured out how to print text. I love the printed the wave background on her cards. Click on the photo to go to her post.